Swedes! Poles! Germans! Luxembourgers! The world is depending on you to save the internet from the EU! 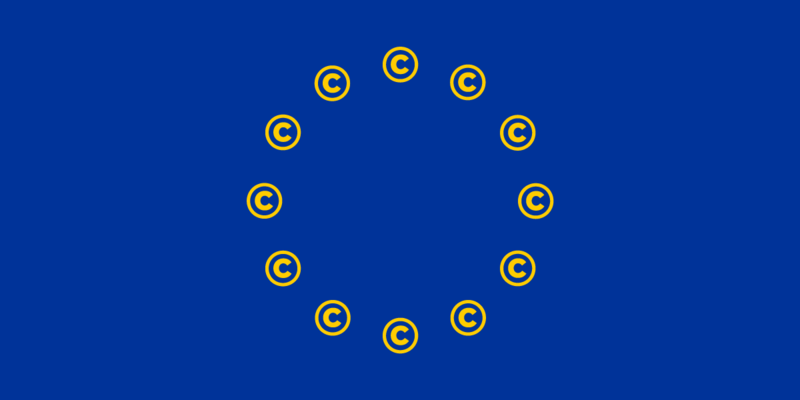 The European Parliament is meeting this week, and the committee that will decide the future of the controversial new Copyright Directive will meet next, and depending on what they do, it might be the end of the road for the internet as we know it. The new Copyright Directive contains two deal-breaking clauses: the first, Article 11, gives news sites the power to charge (or refused to offer) a license fee for anyone who wants to link to their stories and include more than a single word from the story to accompany the link. Open access news sites can't opt out of this regime, putting the whole idea of public-interest, open-access news in jeopardy. The second clause, Article 13, requires platforms to check all their users' posts against a crowdsourced database that is meant to list all the copyrighted works that may not be distributed online. Anyone can put anything in the database without penalty for falsely claiming copyright, and the filters will overblock millions of users' posts either by falsely identifying them as a match, or because software can't tell fair use from copyright infringement. Worst of all, both of these measures will cost hundreds of millions of euros to comply with, and that will put every European alternative to American Big Tech out of business (some versions propose exempting companies with less than 10m euros/year in revenue, but that only means that earning your 10,000,001st euro will trigger hundreds of millions of euros in compliance costs). The next step in this process is called the "trilogue," when the representatives of European member-states negotiate with the EU. If countries representing 36% of Europeans refuse to endorse Articles 11 and 13, the negotiations cannot proceed (this is called a "blocking minority"). That's where you come in: many European governments oppose this already, and with just a few more key players, we can rescue the internet -- not just the EU internet, but the internet we all use, because these policies will be impossible to enforce just in the EU -- from these brutal proposals. The Electronic Frontier Foundation has prepared letters targeting the negotiators from four key countries: Sweden, Poland, Germany, and Luxembourg, and we need citizens and residents of each of these countries to get in touch with their nation's negotiators right away. Time is of the essence. More than four million Europeans have signed a petition opposing these proposals and MEPs are up for re-election in May. Between the popular dissent, the vulnerability of MEPs in upcoming elections, and the local nature of this round of negotiations, there's never been a time when everyday Europeans could have more of a say in the EU's deliberations. Tell your Polish, German, Luxembourgian and Swedish friends!